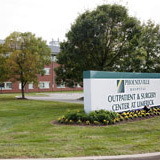 Penn Radiology Limerick, located just off 422, delivers advanced, low-dose imaging services in a caring, compassionate and comfortable setting. Board-certified radiologists perform more than 100,000 imaging procedures here every year and are also certified in their areas of specialty. A collaborative team approach allows for a higher degree of accurate interpretations of imaging results and more precise diagnoses.